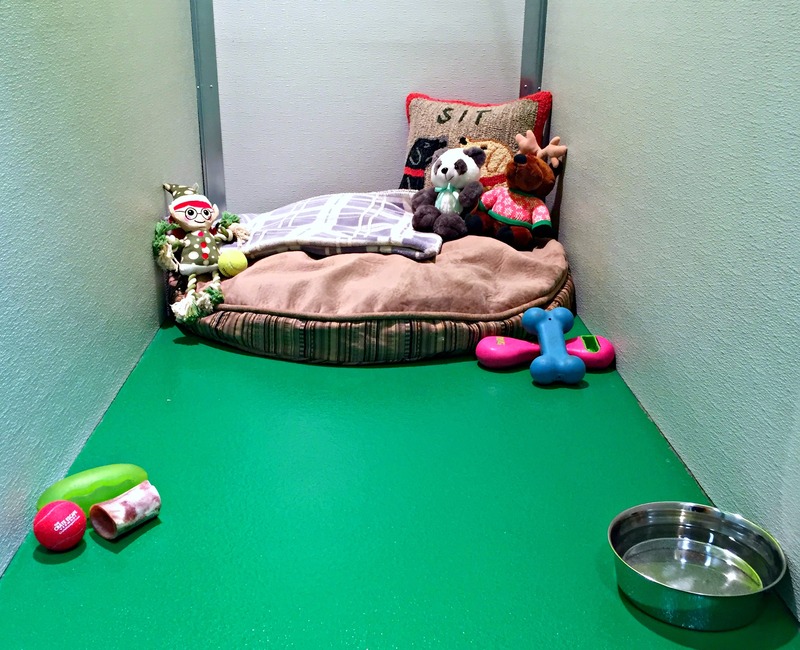 Dog Lodging - The Crate Escape, Inc.
Dog lodging at either of our two locations far exceeds what is offered by any of our Vermont competitors. We provide your companions with exceptional accommodations in a clean and safe environment under the watchful eye of our loving and attentive staff. Our overnight guests can participate in play with the other dogs as well as with our dog care attendants. We ensure that those dogs who are unable to play well with others, or prefer the company of people, receive daily loving and special attention from our staff. At both of our locations we offer a number of fun one-on-one special services in addition to a variety of grooming services. These services can be added on to your dog’s stay to give him or her additional activities to take pleasure in and go home feeling refreshed. 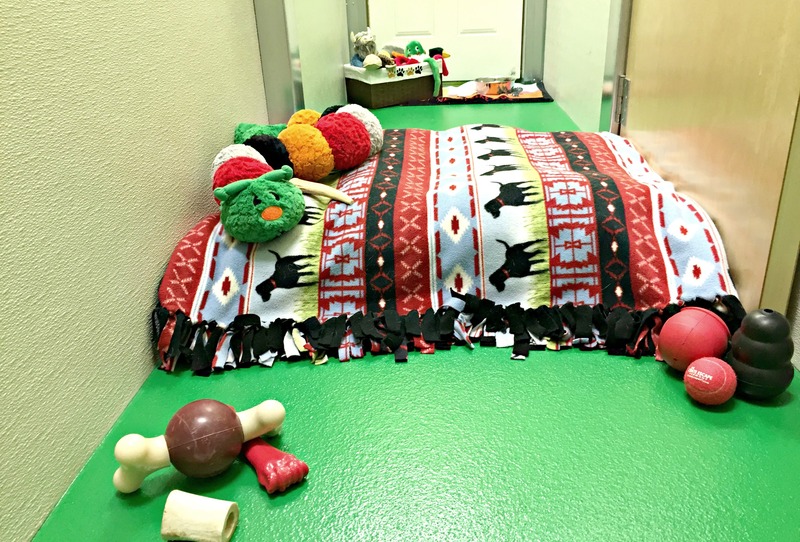 Soft, soothing music is played throughout the night at both locations, and dogs who are able get a healthy treat at bedtime. One of our dedicated staff members performs a health check and potty break nightly at approximately 9:00pm to ensure that your dog is comfortable and happy. After a fun day of play, the dogs who sleepover at our Richmond location have a choice of where they bed down for sweet dreams: in a crate chosen especially for them, in a large private room with a raised bed and their belongings, or in a luxury suite that is furnished with the comforts of home including twin and toddler beds and other furnishings. 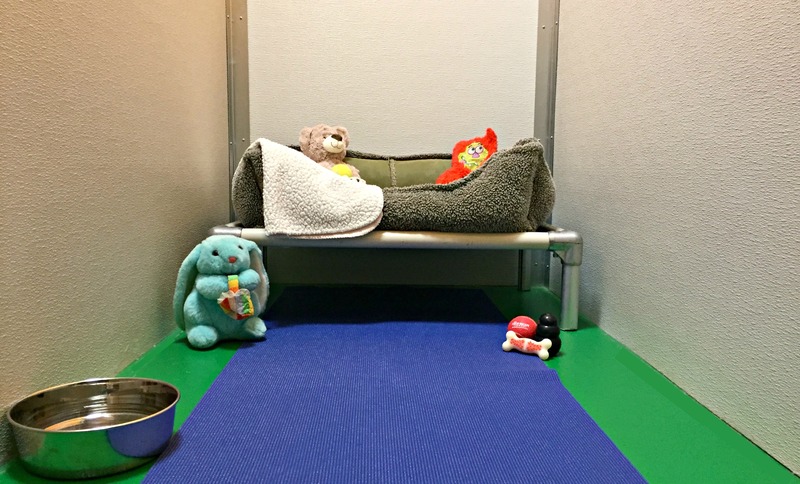 Dogs who spend the night at our Williston location have the luxury of snoozing in a private and uniquely designed townhouse-style suite with their belongings from home and a raised bed. 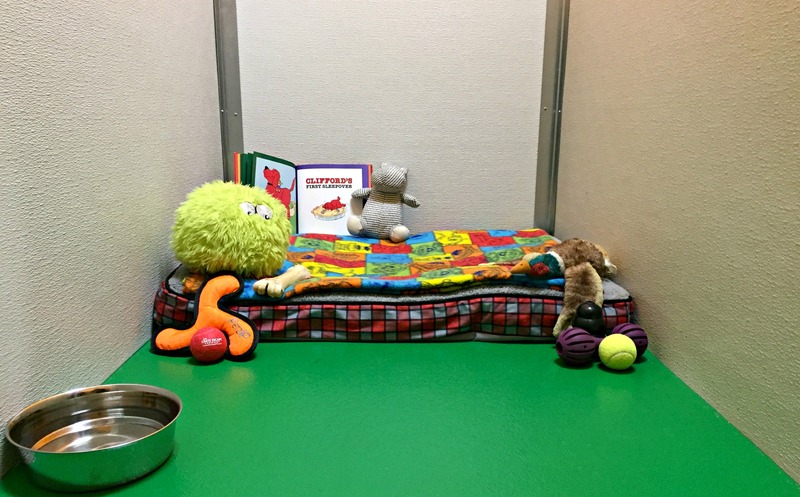 Owners are able to choose from a variety of room sizes that will best suit the needs of their dog(s). Please be advised that lodging prices at both locations vary during peak times throughout the year. Rates and additional information about our lodging accommodations are available upon request by speaking with our customer service representatives. Click here to see our requirements for lodging reservations.